Date: April 11, 2007 Time: 8:30 p.m.
Brian, I went out tonight with my camera and a Sony video camera at 8:30 tonight (April 11, 2007). 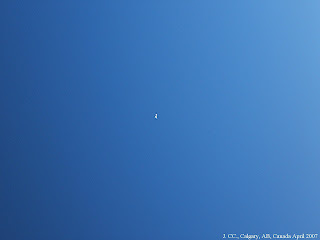 An object appeared in the same area of sky, and this time the object was not a boomerang shaped object, but an object that appears to be changing shape. Please find attached photos (I have a series of photos, these are just a few and appear the best). 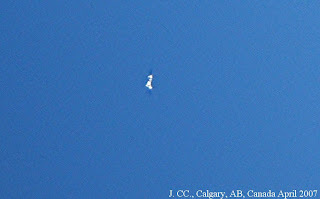 Brian, More pictures of this multiple shaped object in the northwestern sky of Calgary, Alberta. I haven't reviewed the video tape yet. 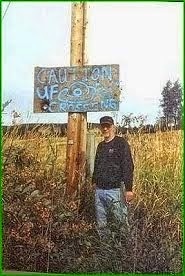 HBCC UFO Research Note: Please note that the newsletters will hold sighting reports from HBCC UFO Research http://hbccuforesearch.blogspot.com/ and UFOINFO http://www.ufoinfo.com/. This should make a big difference in the number of sighting reports we both can bring to you. Shape of objects: Round with blue, yellow, green, and red lights. I can not remember if they were flashing or not. Description: Our family and relatives where all camping at clear Lake Michigan,in the summer, in the month of July 1965 as close to the date as I can remember, we were all around the campfire when someone looked up and said look at that, what is it it was spinnig as it flew slowly high in the sky over clear lake, I still remember seeing it like it was yesterday. TV/Radio: Nothing reported in or on the media. 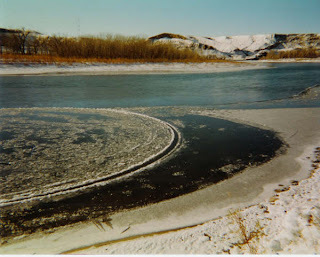 To the best of my knowledge, these photos were taken February/March of 2003 and the location was at the Old Man River, Lethbridge, Alberta. I could probably provide the g.p.s. coordinates if you desire. 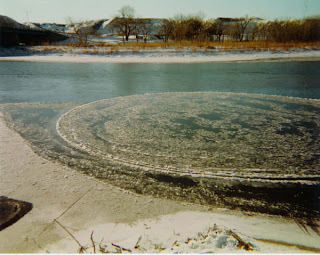 I know someone who, on a different occasion has seen small chrome orbs above the river, upriver of this circle, but not related to this circle. 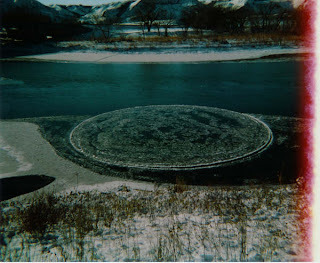 I have personally seen what would be best described as a "Nordic" very tall, albino, long hair, no recognizable facial features, void of mouth eyes nose, just a blank face and acted very strange, again, not related to this circle. Thank you to the person for sending along the information and photos. Shape of objects: Glowing spheres, cigar shape. Weather Conditions: Crystal clear night sky on nearly all occasions. Description: I am referring to more than one sighting in this report between the years 1990 and 2008. 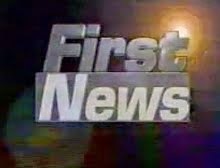 The earliest incident I remember was a glowing spherical object, about the size of a tennis ball which flew around our house at incredible speed in an elliptical manner, it left a long silhouette in its wake and eventually disappeared. This was witnessed by 3 other family members. I have on many occasions (too many to count) witnessed objects in the sky, which look similar to stars, until they move. Their movement and speed is such that any common sense will tell you these objects were not aircraft.. Or any man made object. They would glow and pulsate brighter than the north star on a clear winters night, drop thousands of feet at the blink of an eye, wobble, zig-zag, fly in circles and then zip off into space like the often seen maneuver at the end of a Hollywood movie. 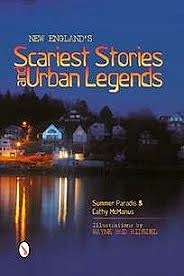 From what I remember the most frequent sightings occurred at between 4 and 6am (I was a bit of insomniac in those days). On one occasion the spherical object flashed a concentrated light directly into my eyes as I watched it from my bedroom window. Completely shocked at what happened I opened the window expecting to hear a helicopter but no sound was perceived at all. The last report I wish to make. I was smoking a cigarette on the balcony (time unknown) when a chrome-esque craft in the shape of a cigar flew quite low across my line of sight. It made absolutely no sound whatsoever and had a pink/red/purple aura or electrical field emanating around its body which seemed to react off the low lying mist in which it was passing through. Location of Sighting: At my home in front yard. Shape of objects: Round in back of the B-52. o'clock, it veered north and was gone. As for the color, it looked white. I am 61 years old and have seen many strange things in my life, never reporting any. If you want me to tell you of them please write me and I will tell you of the strange things I have seen in the sky with others since I was 13 years old. Never a humanoid. Never an abduction. Just strange lights and some in pairs. My brother and I and dad saw a cigar shaped object over Albany, New York at about 7:00pm when I was 13 years old, this would have been in the late 1950s. I have lived in Schenectady, Schoharie and Fulton County all my life. I worked for G.E. for 41 years. US Navy, NYsang. I am not a freak and can't explain what I saw. But I did see them. No drugs or alcohol induced. Thank You. Thank you to the witness for their sighting reports. Number of objects: 1 with flashes. Description: On a drive with a few friends we decided to stop at Leenan Fort, Donegal just before dusk and decided to sit on the highest lookout point facing n/ne. We lay on the concrete as it got darker and watched the stars appear, then my friend said "look how bright that star is....wait is that moving", we then lay there watching this bright white circular object which was at great height (it just looked as bright as Venus in the winter) move north, stop, move south. Stop, ziz-zag north again, and then move in a semi circle back to its original spot. It did this about 8 times taking about 5 minutes to do its display each time, before stopping and moving at speed south before stopping again, about 5 seconds after it stopped, a flash was seen just in front of it, then another a bit away, then another further away, the light then started to move back and forth from north to south, then stopped. One of our friends was very creeped out and decided to ring the Garda and tell them, although they suggested ringing an observatory. As my friend became more anxious we started to leave the lookout, as we were walking from the lookout the object seemed to become a lot more brighter. We all became very nervous, but then the object flew off at great speed towards the north/northeast direction towards open water. I mean it went so quick it was very scary, after about 2 minutes of very very quick walking we returned to the jeep and as we were about to get in we noticed a normal run of the mill satellite in the sky headed in the direction of where the object was, we knew it was a satellite because of the maintained speed and size, as we seen the satellite so shortly after it was easy to know this object from before wasn't anything any of us had seen before and to be honest, I was so uncomfortable that I don't know I'd wanna see it again. I've seen a lot of stars, and a lot of satellites growing up as my mother is a somewhat amateur astrologist (astronomer? ), and this was nothing like what I've seen before. The day later I tried to phone the Armagh Planetarium, but I got an automated response of opening times. Thanks. 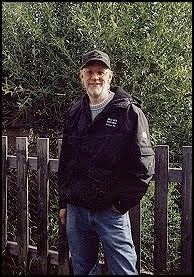 Description: Sighting 14th November 2008 Between 11.30 onwards, Gravesend DA11. Last night, at around 11.30 my boyfriend lent out of the window for a smoke before going to bed. 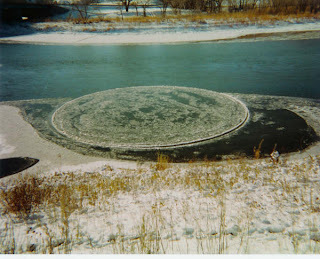 He called me to see what was occurring in the sky above us, just adjacent to the river. It was a cloudy night, but the moon, could be seen, so I have eliminated this; a white ball of light could be seen shining through the clouds,. There was no noise, the light seemed to be searching, but no light source could be detected, i.e search light from helicopter, building, ship etc. The light followed a circular course which at one point darted and followed a zig zag path, but still continuing in a circular motion. We watched this light for around 15 mins and left it as we found it. We then looked around 12.30 and it was till "searching"
Location of Sighting: Tacoma, Washington. Shape of objects: Diamond shape/round. Full Description of event/sighting: My sister and I were driving home down Pacific Avenue and about 84th street in Tacoma Washington. We came to a light so we slowed down, but only to see a very bright low flying object in the sky. It was dark by now, so the object was very well seen. It looked as if it was following Pacific Ave., so I thought that it could have been local military planes following the route as they normally do. But I then realized the object was too low to be a plane and it was swerving in the sky like no flying aircraft I have seen. The path of the object was not steady, and looked to be going very fast. The light changed color and we started driving again. Once we hit the next light, we noticed 2 other objects (dimmer than the 1st) in a triangular formation along with the 1st seen object. The two then suddenly headed in towards the 1st brighter object. I looked to my right (as I was sitting in the passenger seat up front) and saw a man at the bus stop pointing into the sky as well. I know that we are not the only ones who have saw this. I notice that whatever these objects are, they always make a formation in the sky, usually a triangle. These bright objects are usually seen in rural areas (such as Mount Rainier areas) compared to urban areas like Tacoma. But in recent observation I have noticed that these occurrences are becoming quite normal to urban areas. Description: First of all I know Long Eaton is on the flight path to East Midlands Airport and I am a plane enthusiast, so I know exactly what to expect with a plane. I take my grandson "1.5 years old" out for a walk after dinner on Fridays. I walked out on to the street, it was cold and overcast. I glanced up to the cloud base and noticed a circular "flat not ball shaped" object in the sky, It was moving across the sky in a very straight line the evening was very quiet. I did listen and there was no sound at all from the direction of the object. It finally disappeared at the visible horizon. This was a singular Orange-Red light just below or just in cloud base no flashing lights "like a plane" travelling SW to NE. TV/Radio: None seen at the time. Shape of objects: Round glowing. Description: I was closing my chicken run,when I reached the back door, turned to see a bright orange light in the sky, it was very low, just above the tall trees, I would say that it seemed larger than a helicopter flying at the same height. It was going to pass on the right of my back garden, which would make this object flying along the coast towards Clacton-on-sea,as I live 100 mtrs from the seafront. There was no sound from it at anytime, it was flying very slowly, in a straight line at the same height. I ran indoors to get my binoculars,and went out the front of the house,as it was heading in that direction. It was much higher now, and had slowed right down. Through the binoculars it was round, on the right hand side of the ball shape were 5 bright lights within it, like 1-2-3-4-5 of a clock face. I ran in again to get my camera, it had completely gone in about 8 seconds. 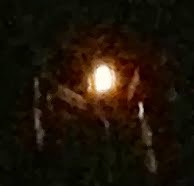 I have looked at the UFO balloons, I doubt if what I saw was a balloon, the light was immense, very very bright amber/orange, it was flying straight. Shape of objects: Bright orange, circular. Weather Conditions: Clear, Dry, Cold night. looked like it was struggling to stay up, it got more erratic and then a few sparks seemed to come off it and the object split into three pieces. These pieces slowly moved down to the ground (almost in the greenham common area if I had to predict) I watched these pieces fall for about 1min 30secs (they fell very slowly) the three objects seemed to fall right down to the ground and I ran down the road to get a better look. I did this until I couldn't see them. I stood their for another two minutes and then called my brother. Weather Conditions: Clear frosty night. Description: My house faces the Ochil Hills I was looking out of my bedroom window when I seen a round orange light with another just behind it I shouted on my wife to come see the lights we thought it was strange my wife and I went to the back of the house opened a window to listen to them there was no noise I went back to my bedroom and looked out and there was another orange light with a small bright white light at the bottom of the orange light with no noise coming from it I never thought anymore about it until I went back to work when someone told me what they had seen as he lives 5 mins from me we had seen the same things at the same time. Hi I had a look at the UFO balloon website and what me and my wife had seen was much, much larger and we could see them coming from 4/5 miles as the crow flies I have a clear view of the Ochil hills and I first seen them over the hills and watched them come towards me if they were balloons I don't think I would have seen them that far thanks for replying to my email if you would like to know anything more please just ask. Description: Saw a small object which looked like a bright star, but was bigger than any star, cross the sky at quite a speed. Then turned red and disappeared. Six people saw this. It definitely was not a plane or a comet. Shape of objects: Orange star shape, looked like something on fire at first. Weather Conditions: Clear with some light cloud. Description: I was outside walking towards my outbuilding, we live in the country so it is very dark. I noticed an orange light rising in the direction on Inskip, I thought it looked unusual due to the colour of it. It rose up steadily silent at all times, it was not a plane or helicopter. I called my wife from my mobile to come outside, when I pointed up to where it was it had moved a fair distance in a spilt second, it the moved across the sky steadily and disappeared above us. It was silent at all times. My wife describes it looking like a lantern. Number of witnesses: At least 4 witnesses known. Number of objects: Up to 15 objects seen. Shape of objects: Round, like ten times the brightness of an Orion's Belt star. Weather Conditions: Very clear, full moon, cold. Description: I was driving east toward my home. At 8:30pm I noticed a bright, round light with a bluish hue appear about five miles ahead of my car in the sky just to the left of me. Not a flair, not a firework. It did not move. The light disappeared, as if it burned out. When I arrived home, my fiancé and I stood in our front yard facing east to observe more lights. This continued for about fifteen minutes. There were more this at this time. One lit up, which seemed to appear just across the highway in our neighbors field in the sky. slowing and then picking up speed; lighting up, then dimming at any given time. I ran to get binoculars, but when I returned the lights had dimmed for good. One of the witnesses had the opportunity to take pictures of the strange lights. 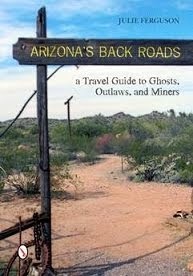 Christmas Valley, Oregon is a small town and there may have been more witnesses. The lights are a popular occurrence and people here have observed them in the night sky before. The lights seem to have a synchronized pattern of moving at some point, then act as though they are playing. This action simulates movement of fireflies. There were no sounds of jet plane activity and no sounds of flare gun shots. Nothing on the ground gave the impression of human activity, and believe me, we looked for every explanation or evidence of something or someone to debunk what we think were UFOs. My thoughts were also considering orb activity. I am just frustrated to why I cannot explain what I saw, but am glad there were other witnesses. I feel like one of the select few to have been able to witness something so beautiful and rare. 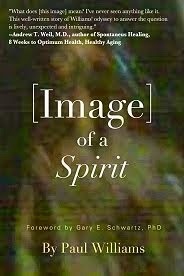 Shape of objects: Indistinguishable, however, the light emanating from them was circular. Weather Conditions: Clear skies, still. Description: Tracking South West to North East in the sky 2 lights travelling at a constant speed. I caught sight of one as it travelled into the distance only for it to be followed by another light which was orange/yellow. At first, I obviously thought these were planes as I live relatively close to Liverpool John Lennon airport, however, there were no accompanying flashing lights and furthermore, if the lights were on a plane, the necessary height for the light to be a plane's lights would have made the engines audible. I have looked for information on the web and have read some details on Chinese lanterns, however, I am adamant this cannot be the explanation given the velocity of the lights as there was no wind at all. Shape of objects: Light - Triangle maybe Circle ? Weather Conditions: Clear Night Sky slight Light Pollution from City. Description: At 19.52 I looked out of my bedroom window which is south facing towards the South of Portsmouth and then the Solent. I noticed that in the gap between the end of school and the end of the block of houses there was a light which was bright. I stood and watched from the window and its appeared to flash red, blue, green and white but in no order. 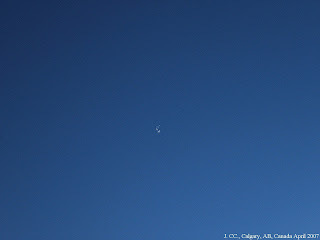 I thought that maybe it was a plane but it didn't appear to follow the usual flight path of flying South to North. I then assumed it might be the Police Helicopter or the Coast Guard or even the Fleet Air Arm but its really dark and it looked as though it was a long way away probably over the Sea which is over 4 or 5 miles from my house. I continued to watch it and was later joined by another witness who also went through what it could of been but again drew a blank. I then went back to what I was doing but was so intrigued I continued to watch it. After about 10 minutes I realized it had moved from east to west and was very very slowly gaining height. I then was gone for 15 minutes to have dinner and when I returned the object had moved higher but not that much further to the west. Then at 20.29 the object finally had disappeared behind the school when it had further moved to the west. TV/Radio: None reported as of 21.07 same day. right, and a construction site to my left. Sky was really foggy, but this thing just stayed there!! I called one of the chefs to have a look and he said that the same light was there, an hour and a half ago, when he went for a cigarette, same place and then 'it' was moving slightly to the left and right and back to first position!! Went back in and called two of my colleagues out and they founded quite freaky, cause wasn't going anywhere, just sit there like..a traffic light! By the distance it should be visible by anyone looking up along Park St. Bottom and top, College Green and Clifton area. TV/Radio: Called local news paper but nobody on duty, just the security guard at the gates. Shape of objects: Looked like a rocket engine. Weather Conditions: Cold, Dark and clear. Description: Driving the kids home on Friday night we were talking about the recent wind turbine reports ( 7 year old son, first real encounter with UFO's in the media ). As we were talking what looked like a afterburner of a plane engine ignited and flew parallel to the car for around 5 seconds before fading from site. The object was flying away from Tickton village towards Beverley. I put the car window down as I saw the object and didn't notice any noise at all, certainly no engine noise and we are often on the path of military jets. The flames were from coloured from blue to yellow and a hundred meters or so to our left and looked to be around 5 meters in length at that distance. Never seen anything like it and not the normal firework trajectory, this ignited high in the air parallel to us and flew away from us ( in the same direction we were travelling ) at speed. My son saw the same thing from the rear of the car. Shape of objects: Orange spot. Description: I was moving north towards the Limassol suburb of Mesa Gitonia when I witnessed an orange spot (like a bright star but orange an below the clouds) on the sky north of Limassol above the hills. I continued watching it from the car while driving for about 5 minutes until I arrived home. Then it suddenly disappeared... I was trying to locate it again in the sky for about 2 or 3 minutes when suddenly it appeared again, (less illuminated this time) and flew with a great speed above the clouds and disappeared again... I tried to locate it again in the sky but never seen it again.. The whole incident took place for barely 10 minutes in a location north of Limassol. 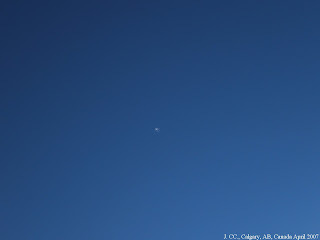 Weather Conditions: Clear with small clouds and bright moon. Description: Coming from south to south east. Thought it was an aeroplane, but coloured. Sorry eyes not to good. Thought it strange seeing red lights and white lights at the same time. It moved like an aeroplane until it reached a small cloud but didn't come out the other side. We waited a long time but nothing came out. No mater how much we try we cant explain why it didn't come out the other side. Can anyone help. Description: 10pm my girlfriend shouted to me to come downstairs and come and see something, she was putting the dog out. I run down stairs to the back door. Right up in front of me coming inland from the sea direction was a quite large orange bright light moving about an aeroplane speed if it was quite low. There was no noise what-so-ever and it certainly weren't no plane. It passed across our house, so I had to go to the front porch to see it, then it moved off away from me and the bright orange light started to get smaller. So I thought if that was a plane or something then when it turned, you would not see the light, certainly not as bright and certainly not orange. So who know what it was ! 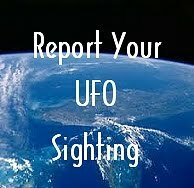 Full Description of event/sighting: It was a normal evening for my mother, step brother, boyfriend and sister, as we were driving through Tacoma, Wa. My sister then told us to look up in the sky at a large bright object that was glowing a light orange, and changing colors that are not familiar to any aircraft we have ever seen before. We then pulled over at Allings Park and turned our focus to the western sky. As we began to watch intently, we noticed two other objects in a triangle formation with the abnormally bright object. We had watched for about 5 more minutes after we noticed the other objects. We were all shocked when we saw a smaller object directly beneath the low flying objects we had been observing. The newest spotted object began to quickly rise up to the bigger object. It continued to rise directly vertical in the sky at fast speeds, much faster than any plane or anything else I have seen in the sky. It then vanished into the night sky. The Biggest object and the other two remained in the triangular form for about 25 minutes. We observed with binoculars. We decided to continue traveling home. About 10 minutes or so later, we checked back in the same part of the sky to watch if anything more suspicious was happening. The two dimmer objects in the formation with the bright object had completely gone out of sight. But the bright object remained in the same spot, hovering up and down. We started traveling home again. Approximately an hour later when we were heading east on 176th and Canyon Rd. in Frederickson, my mother and my boyfriend exclaimed they had just seen something on fire and shooting across the sky. They described it as something similar to a meteor, and looked like it had some sort of electricity emerging from it. Blue, Orange, Green, White, and Red were the colors seen on the object. As it streamed horizontally through the night sky, it began to decline. As it declined it smoldered away into thin air. We drove under where we had seen it and there were no signs of anything crashing or any damage. We are not sure if we drove exactly where it would have landed, because of the short amount of time that it had all happened in. Location of Sighting: Ajax/Whitby/ Pickering. Full Description of event/sighting: Around 9:00pm I had to go pick up my wife from work at Ashburn Golf Club. On my way there I have noticed some weird lights in the sky and I immediately knew that they are of "unknown" origin. After I've got my wife, one of the lights was very close and I could see it's shape, a disk with a dome and surrounded by a globe of light. I drove as fast as I could, got home, dropped my wife and grabbed my video camera. I've got back on the road in no time and eventually I stopped my car on high grounds and I started filming. There were 4 big ones and maybe, 8 to 10 small ones. They were all engulfed in light spheres, but I could easily see their shapes which ranged from the well known disk to spheres to upright cylinders to triangles. 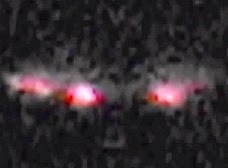 I was able to get them on camera for approx: 20 mins or so, but, unfortunately, on the film appear only the big ones and they look like big pulsing lights. When I started filming they started to move away, but I kept chasing them. I know the drill, because I've done it before, but this is the first time I decided to share all my findings and experiences. I always see them and I think I attract them, because every time I want to see them, they show up. I also have lots of photos and video shots. If I would have the resources I believe that I could do more. By the way, in this area, Durham Region, is like a highway for these crafts. I have had lots of experiences and I even saw them during the day and the closest one was at less then 100 feet and that one was also the biggest, around 100 feet in diameter, witnessed by my younger daughter as well. Have a great day. Good day, this is the first time I have ever sent an email like this but here goes. 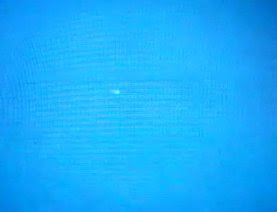 I was sitting on my bed on Saturday morning about 6:25 a.m. January 24th 2009, I live in an apartment and have a south west exposure, I noticed in the still dark west sky a vertical light that was bluish white, at first I thought it was a reflection in the window but soon realized it was not. I watched it for a couple of minutes, it got a bit brighter then faded… it appeared not to be a beam so to speak, coming from the ground or sky, the shape was pencil like, I don’t know how else to describe it, it did not move at all. I knew it was something I had never seen before ever, it has been driving me nuts, I have even asked a couple of folks if they witnessed anything strange in the sky on Saturday morning but I reckon most folks were still sleeping, one thing that I should note it was in the direction of Pearson Airport. But again it was not a beam. I am just trying to find out if anyone else seen this strange light in the sky. Thanks. Location of Sighting: On Gould Beach RD. Shape of objects: Bright yellowish star-like. Full Description of event/sighting: My husband and I and our dog went for a walk to do some stargazing. It was on Tuesday, January 27th 2009. We were walking on the main road and looking up at the stars, stopping frequently to observe. The road we were walking on had lots of street lights and as I looked up at one I saw a "star" suddenly start to move from the west to the east. It was moving very slowly and it was sparkly with a yellowish color. I said to my husband, "Look Up, what the heck is that"? He thought it was a plane, but there was no sound or any red or green navigation lights blinking. I said to my husband, "OMG, I have my digital camera with me and I'm going to take some video" So I took out my camera and tried to take some video of this object, but the street lights were too bright for me to be able to see the object through my lens. We watched it for about 1 or 2 minutes and it's hard to explain, but it looks like a bright star that just shrinks in size, to a tiny dot and disappears. It was not the first time that we've seen one like that, but it's been awhile and we were so happy to see one again. Time: 6:30 p.m. to 10:00 p.m. 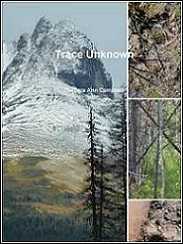 Location of Sighting: Grandforks B.C. Hardy mountain. Full Description of Event/Sighting: We have been seeing these very strange lights and we do have photos and they are very clear that these "lights" are some kind of craft, plus nobodies been able to have a good nights sleep since these "craft" have been around. And no I am not crazy! Time: Approx: 11:20 - 11:30 p.m.
Dear Mr. Vike, Last night, my brother called me out to see multiple glowing red dots in the sky. Once I got there, I was able to see around ten of them, but according to my brother there were more in the beginning. The dots looked like red stars in really low altitudes. It couldn't have been a plane because it wasn't blinking, it was really bright, and they were traveling really fast without a sound. They were scattered everywhere and flying upward west. One by one they would disappear as they risen. The whole sighting lasted for about 10 minutes. The people who saw it were our two house helps, my 17 year old brother, my 7 year old sister, my step father and me. Yours truly. Full Description of event/sighting: Looking East at a crescent Moon thru my binoc's, a reflective object became visible. It shone brightly, disappeared and reappeared in my field of view. It was slowly moving west. Some of the time it had a very bright metallic shine, others, not reflective but light and dark. It is late morning and I am writing just a few minutes after the fact. After a few minutes of watching it fade in and out of sight, I saw it pretty clearly as it had moved almost directly overhead. It remained for a minute or 2, did not oscillate or wobble, and appeared to be under some kind of control, as if it were gathering data by shifting position slightly. It could appear and disappear in slight increments of distance. A commuter jet approached from the east. The object disappeared as I looked directly at it, and didn't come back into view. I looked for 10 or so minutes and came inside to compose this message. I'd say the altitude was 10 to 15 thousand feet. Move over, Roswell, and step aside Area 51, the new hotspot for UFO activity appears to be the busy skies in and around Hamilton. But the only problem for all the believers who are spotting zigzagging objects and mysterious lights, says Rob McConnell, is that there is a logical explanation for "99.9999 per cent of them." 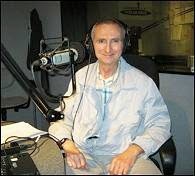 McConnell has hosted his paranormal radio show X Zone from his Mountain home for 16 years. Time: Between 9:20 p.m. to 9:40 p.m.
Dear Brian, In the email body below is a little account of the anomaly myself and 3 other witnesses seen. It happened roughly between 9:20 PM to 9:40 PM. I don't have the exact time because wrist watches don't work on me, so I gave up on them and nobody else had the exact time, but when we walked back to the car it was 10:05pm and it was about a 10 minute walk we also stayed there for about 5 minutes after seeing it. The date was Saturday January 24th 2009. 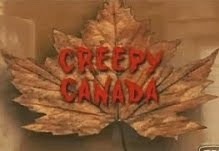 Location was in Grimsby, Ontario right bye the shores of Lake Ontario. It's in the Northwestern corner of the Lake and Between Hamilton and St.Catherine's, Ontario.The two other witnesses wish to remain unknown but can be contacted through telephone. The third witness was my young son. In the pictures it is the same object but in two different colours. All I did was blown them up 3 separate times for each of the 2 pictures. I took a few more pictures but nothing came up, just the pictures I'm sending you. Through the binoculars it had the 4 colours in pattern of green, white, yellow and red. But when we took the pictures it came out as solid white and solid red? The object moved a lot slower than a plane. To put it in perspective when the plane flew in when we first started to notice the object the plane was seen and gone in about 2 minutes if that. The movement of the object seemed to be coming in a capital L direction reversed from the St.Catherine's area toward Grimsby, then out toward the United States part of the Lake. If you need to call or get in touch with the other witnesses, they said they will talk via telephone. After all this we joked with each other and went to believe it or not the Flying Saucer Restaurant for a bite to eat and warm up with coffee in Niagara Falls at 6768 Lundy's Lane. It was a cold typical Canadian night. So that's all of it. Location of Sighting: Over Lake Erie. Shape of objects: Triangular then round at times. Full Description of event/sighting: I had been smoking outside alot instead of in my house. Once and awhile I look up and check out the beautiful sky, the thing about this is that I've seen this thing about 6 times already. So I looked up and out towards the lake when I saw a bright light in the sky. My first thought was an airplane, but it moved side to side, then it would dim and come back again. Then when I went out to walk, I noticed that it had three lights on it not very visible though. It kept doing the same thing over and over again. It would move back and forward side to side. I have seen this 6 times, is this a star or planet, I don't know. I would just like to know what it is. Thank you. The only thing is, it moves, it will disappear then come up in a different area. I forgot to add that the color red it had in it, it was in the middle of the object. Well if it is a planet or star it is very odd looking but very beautiful. Thanks for the reply. Location of Sighting: Southern Moose Jaw. 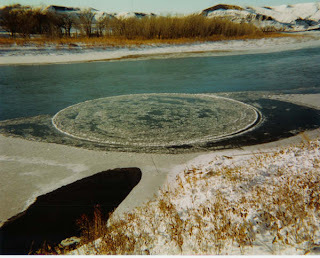 HBCC UFO Research Note: I have added a photo that the witness allowed me to post, as for the video footage, I have seen it and it looks interesting. But I was asked not to post the footage and I certainly will be honoring this request. Full Description of event/sighting: Hi Brian, I thought I sent this in to the site the day after it occurred, maybe I did, but maybe I just can't find it on the site! 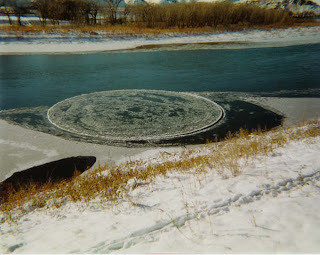 Anyway, here is what I wrote the day after I saw a silver object south of Moose Jaw, SK. 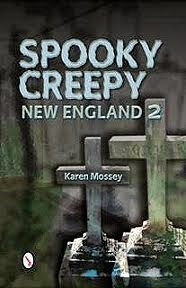 "Last night, two of my friends and I were walking around when I seen something flash out of the corner of my eye. 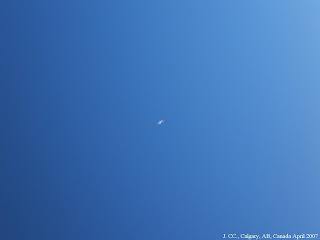 I turned, and seen an ovalish-silver thing floating in the sky. I said, "Do you guys see that silver thing?" both of them said they did see it. We kind of watched it for a few minutes, not knowing what it was. It didn't make any sound, there was no smoke trail or anything. It looked like as if it was flashing every now and then. I ran into my house, got my video camera, and told my mom to come outside and see this. I filmed it until it disappeared into some pink clouds with a flash. We ran to a park and stood in a soccer field trying to see it. We were there for a good 20 minutes, when we decided to go to a much bigger farmer's field to try and see it. Well about half a block away from the field, my friend spotted it again. It was going much slower and a few times it looked like it stopped moving. I started taping again, but it was farther away and was disappearing. We filmed it until we couldn't see it anymore." Said tape went missing for a few years and wasn't found until the summer of 2007. Unfortunately, the tape had deteriorated somewhat. I filmed the footage off my TV. 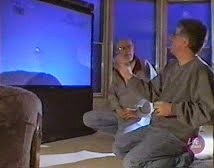 Since the tape became partially destroyed, the audio cuts in and out and the picture flickers somewhat in the first minute. The audio I have no problem with as the object didn't make a sound. In the movie, it appears as if the object is moving erratically - it's not, that's just my jittery camera skills! Anyway, most people think it was an airplane or a weather balloon. 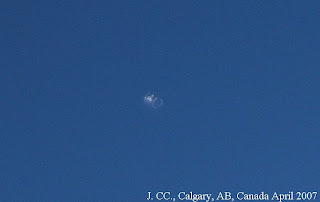 The object was in the southern sky, toward 15 Wing Moose Jaw. I can definitely say that is not an ordinary plane. People have suggested that it was a glider, I don't think so. The weather balloon scenario could be possible, though I've never seen one before. A few days ago I contacted a worker at the air base and he told me this that in the summer, the flying usually ceases at 6:30 pm, so the likelihood that someone at the base saw the object is remote. So, I am coming to you with my tape and a description of what I saw. Let me know what you think. Thank you to the witness for their report and photo. Shape of objects: Round shape, star-like. Weather Conditions: Crystal clear, starry night. Description: I was standing on the patio smoking a pipe. 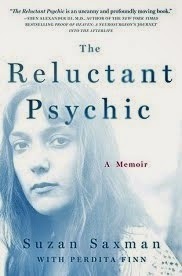 I just marveled the unusual mild night, lit with a few stars. Venus was to the right (high in SW) and the full moon was climbing high in the NW. I was facing Southeast. Then, out of nowhere I saw two star-like shapes appear, they both had the same magnitude in brightness, but not quite as bright as Venus, I'd say. At first I thought I'm seeing satellites, but those objects did not move at all - just sitting there like stars. Just then I got my wife to witness this event and she too thought this was awesome (it did look really pretty as it looked like two stars underneath each other in close proximity). The event didn't last longer than a minute, two max. We watched them slowly fade away, just like they first appeared. And I haven't seen them since. Time: 8:00 to 100:00 p.m. Description: Was looking out the window and saw a ball of fire moving across the sky. At first I thought it was a helicopter or a plane that was on fire. I went out on the deck in my sock feet to see it, but didn't stay out to watch because it was too cold out. The light didn't fade in intensity or make any noise and it was very strange. TV/Radio: I did call someone from local TV and am waiting for them to call me back today to see if there have been any other sightings. Time: 8:16 to 8:37 p.m. Location of Sighting: Rexdale, near the airport. Shape of objects: Round, brightly colored, mother ship, cloud. Full Description of event/sighting: Last night my wife and I went to the garage for a smoke at about 8:15 pm.While walking on the sidewalk to the rear door, I looked up into the night sky as I usually do and I noticed bright flashing lights to the south, over the city of Toronto Ontario. I said to my wife, can you see that, and she said yes, but it didn't interest her.It surely interested me, so I ran back into the house to fetch my binoculars to observe the spectacle before me. What I could see was flashing orbs of red, green, blue, purple, yellow and white, but I couldn't make it out as to what they were! But what I'm certain of, it's definitely isn't an airplane! I called 680 news to see if anyone reported lights in the sky and they said no! I looked in the papers today and seen no mention of it, I guess my wife and I were the only lucky ones to witness this amazing sight. After looking through the binoculars for awhile I decided to fetch my camera and took 10 to 12 good pictures or so I thought because the image was only a dot in my view finder. I downloaded the pictures from my camera to my computer and well I was speech less. You can clearly see smaller UFO' of multi colors, vapor trails, and all descending down to a mother ship or that's what I think it is. 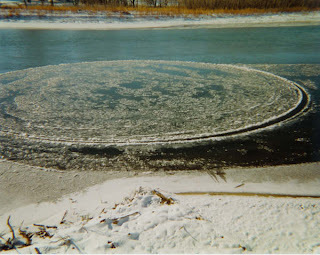 I've seen many pictures of UFO's from other people, but I never seen pictures like these and believe me, these will stir up alot of debate once you see them. As I'm taking the pictures, to the right of the screen you can see a red orb coming in for a landing, it's just frigging amazing! After about 15 to 20 minutes all you can see is this very strange looking cloud and that was that, besides my camera froze from the cold weather here in Toronto, Ontario. I'm looking forward to someone to try and explain to me just what I saw? I've got pictures, interested. Thank you to the witness for their sighting report. Also the pictures have been requested. Message: Strange lights the evening of January 12, 2009 west of Vanderhoof B.C.! If interested in details, write back to email provided. business. I left around 8:30 PM well after dark, my car was facing West in front of the house from which there was a broad view as the property sits up on a knoll. While warming up the car I was looking ahead and noticed two lights side by side approximately one to two miles out that appeared to be at about 2000 feet in elevation! The best description I can use on this is that it was similar to a larger aircraft on approach to a runway with those bright landing lights on, typically one on each wing! These lights however weren't as bright, more of a dull light, but definitely as big or bigger then those used on aircraft. 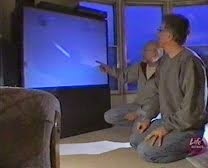 They were also spread apart, very much like they would be if attached to airplane wings. Now what was particularly odd here, is that these lights or this object was not moving, it was not getting closer, it was not getting father away, no movement in any direction, it was stationary! I continued viewing and wondering while warming up the car, and then departed for Vanderhoof, I glanced over my shoulder going down the driveway, southward and it was still there! I wondered some what later if perhaps there was a mountain out there with a structure upon it, but having viewed this property throughout the day and the area in general, I'm pretty certain this was not the case and what I saw definitely was in the sky. Something else that caught my eye, was an area on the ground where there was a bright orange glow occurring, this was further west then the object, and slightly further North than the object. At the time I assumed that this was a ground installation with flood lighting like a green house operation or something similar. This was a very robust amount of orange light however, possibly a large fire of some sort! 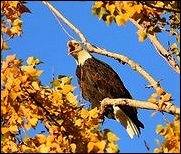 I'm kicking myself a little, because I had my digital camera with zoom lens beside me in the car, never even occurred to me at the time. That's about it, any questions, feel free! 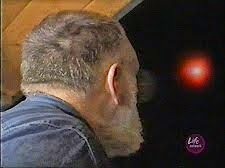 Brian: I saw the big green fireball about 10 yrs ago one night at work on afternoon shift. It was huge with a slight flaming green tail moving slowly until it went out of sight behind some trees. Way to slow to be a meteorite or anything else like that. It was about the size of an orange at arms length and fluorescent green heading for the ground or the water somewhere between Mudge Island and Ladysmith which is just south of Nanaimo. I have been an outside worker on shift work for a long time Brian and have seen many aircraft and such at night but I have never seen anything like this before. It freaked me out Brian and I will never forget it. Sounds like the same thing I saw Brian. A bright green fireball with tail. I did let you know about it. By the way Happy New Year and keep up the excellent work. Full Description of event/sighting: We were driving home and we saw a bright green fire ball the size of a beach ball in the sky going from west to east at a high rate of speed. It had a short tail and passed us in approx: 4 to 5 seconds.We would like to know what it was we saw as nothing like this has been seen by us before.I am 53 years old and my wife is in her late 40,please if any one can let us know what we saw we would like to know. Tonight, same thing as on January 6, 2009. I was driving by McNally Robinson and saw the exact same thing in the sky, in the exact same spot (albeit, about 5 hours before the previous time). Again, my logical mind insisted it was an airplane or something, but it didn't move. Also, that whole logical idea I had in my head about the cold causing weird colored twinkles just doesn't vibe, since it's quite warm out right now and so I was able to see it much more clearly. It was definitely triangular. It seemed a bit closer than last time. The lights I thought were blue were actually white, and I could also definitely see a red light running up and down one side of it, blinking intermittently. This time it did move, although it wasn't moving when I initially saw it. I actually parked my car in a parking lot to stop and stare for a while, then I remembered I had my camera. I reached into my purse to grab it, taking my eyes off it for a second, and by the time I turned my camera on and began zooming in, it began moving towards the north really fast. It circled behind me and I lost it. So I continued driving down the alleyway and all of a sudden it appeared in the northwest, moving quite fast towards the RCMP airplane that was also circling overhead. I tried to watch it, but had to keep my eyes on the road. When I glanced back up, it was entirely gone. I really wish I had someone with me to witness these things, because out of everyone I try to tell, only one person doesn't think I'm crazy. 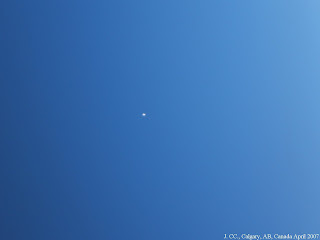 Location of Sighting: Southeastern part of the sky, Saskatoon. Full Description of event/sighting: I actually saw this object twice. The other night I had the munchies, so I walked the block to 7-11 for some chips. The minute I walked out the door of 7-11, something caught my eye. In the southeastern part of the sky just below and on the left side of Orion's belt I could see some lights, blue with some red intermittently blinking. I stopped and watched it for a bit, thinking it was probably an airplane and waited for it to fly out of sight. But it didn't move. I crossed the street, continuing to watch it. 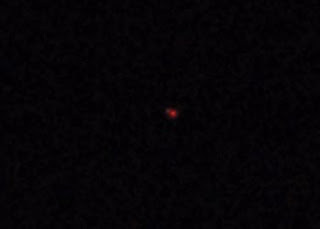 I could almost make out a triangular shape, with the red blinking light running up and down one of its three sides. However, it was cold (which creates strangely-colored lights with stars), and my contacts are not up-to-date, which meant I had to sort of squint to watch. I then figured it must have been a satellite. Although it seemed fairly close and any sort of satellite that close to Earth would have shown some movement, right? I walked into the alleyway and stopped to stare again. No movement, but it was blinking (twinkling) more rapidly. I stopped again beside the apartment across the street and stared some more. It still didn't move...which made me think it must have been a star. But what kind of star had three sides in an equilateral triangle? With different colored twinkles, one of them seemingly running on a line from one point to another? I stopped again beside my apartment building and kept staring. Someone walked by to get into the apartment and gave me the weirdest look before going in...and why not? Here was some chick standing by the door with a bag of chips in hand, staring intently into the sky with her mouth wide open. I decided to grab my camera and look at it with the zoom lens. When I got back out there and turned my camera on, my battery died then and there. I had no more batteries. So I stood there staring a while longer before heading back inside, wondering what the hell it was. So, that is what I saw. A UFO was my first thought, wiped out by more logical thinking that didn't add up. And whether there's a good explanation or a sci-fi explanation for it, I do not know. 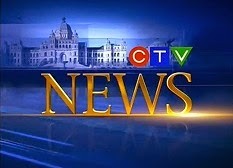 Location of Sighting: SE of Saskatoon. Shape of objects: Triangle with lights on the side. 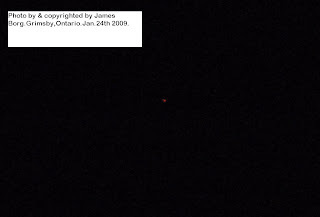 Full Description of event/sighting: I did not witness this myself, but numerous people have seen this triangular object since first spotted on the 9th of January. It was spotted again last night, the 16th of January in the same location, but quickly disappeared before any pictures were taken. Thank you to the person for sending along the information. Would you like to be a guest on my radio show ? 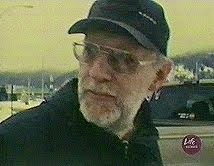 (The Vike Report) If so and have an interesting UFO or Sasquatch story to relate, please drop Brian Vike, Director of HBCC UFO Research a line with the information, please include your telephone number so I can make arrangements for the interview. Please note that HBCC UFO Research does not ever give out anyone's private information to anyone. Also advertise your product with HBCC UFO Research, all advertising funds go directly to a new toll free UFO reporting hotline. In the beginning, God created the Heavens and the Earth. Long before humankind read the Scriptures, we glanced skyward, wondering if we were alone in the cosmos. Unexplained sightings for literally thousands of years have culminated in a modern pastime and, for some, a lifelong search for extraterrestrials. Google “UFOs” on the Internet and you’ll find more than eight million references. 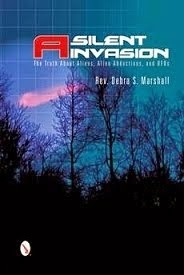 A spokesman for the Vatican said May 13 there could be life forms beyond Earth, even intelligent ones. “How can we rule out that life may have developed elsewhere?” asked The Rev. Jose Gabriel Funes, Jesuit director of the Vatican Observatory. 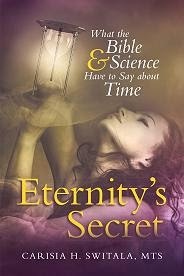 “Just as we consider earthly creatures as ‘brother’ and ‘sister,’ why should we not talk about an ‘extraterrestrial brother’?” Funes added astronomy doesn’t contradict religion and the Bible is not a book of science. He conceded the big bang theory is a “reasonable” explanation for the creation of the universe and science has vindicated astronomer Galileo. This latest revelation softens centuries of division between the church and the famed astronomer, who was deemed a heretic and forced to recant his theory that the earth revolved around the sun. Pope John Paul publicly admitted in 1992 the ruling against Galileo was a tragic error. 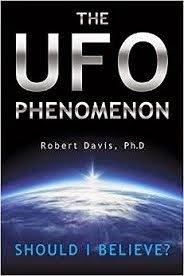 While science has since proven him correct, and uncovered many galactic mysteries, hard evidence of alien life and unidentified flying objects (UFOs) remains elusive. But that hasn’t curbed a belief held by millions of people around the globe – that aliens do exist and do visit earth. This past Jan. 2, two people travelling along Highway 50 and then east on Rutherford through Vaughan saw static lights in the sky. “They did not move and made a weird shape in the sky,” according to the report posted on Canada’s largest website dedicated to UFOs – HBCC UFO Research. 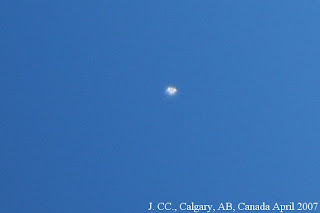 Reports like this are common, according to Brian Vike, director of HBCC (Houston, British Columbia, Canada) UFO. The reports continue. 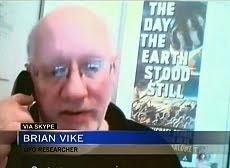 In fact, 2007 was a record year for sightings, Vike said. Aside from sporadic individual reports, Britain’s National Archives released 1,000 pages of formerly secret UFO documents May 14. The documents contain UFO sightings from the 1970s through 2002 and several remain unexplained. However, Britain’s defence ministry did not find any evidence of alien activity or alien spacecraft. The archives are releasing files in light of numerous freedom of information requests about government UFO reports. Defence officials noted the reports were only investigated to ensure there were no enemy aircraft over British airspace, and never attempted to solve the UFO riddle. The Library and Archives Canada has a collection of government records on UFOs, gathered from the Department of National Defence, Department of Transport, National Research Council and Royal Canadian Mounted Police. The documents were accumulated between 1947 and the early 1980s and consist of some 9,500 digitized documents. The National Research Council began collecting reports of UFO sightings in 1968. The NRC stopped collecting reports in 1995. There is no department in Ottawa dedicated to investigating UFOs, according to a spokesman from Dufferin-Caledon MP David Tilson’s office. The North American Aerospace Defense Command (NORAD), a Canada-U.S. partnership, tracks all aircraft, including those of unknown origin, within Canadian airspace, with a view to identifying them. All aircraft require proper clearance and identification, according to military or International Civil Aviation Organization (ICAO) agreements. Federal cabinet documents from the 1960s reveal former prime minister Lester Pearson was intrigued by reports of UFOs in the night skies over southern Ontario and Great Lake states. One of the most infamous UFO stories of the century – The Roswell Incident – involved the recovery of materials near Roswell, New Mexico, on July 7, 1947. The U.S. military maintains it was a top-secret research balloon that crashed, but there has been intense speculation and questioning ever since, giving birth the UFO phenomenon. 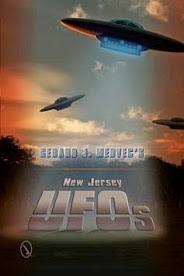 UFO proponents believe an alien craft crashed; bodies were recovered and the military covered up the incident. 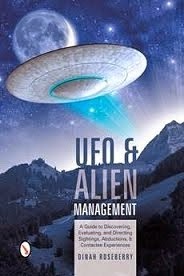 Some recognition of the UFO phenomenon came from a top-level source. “If I become president, I'll make every piece of information this country has about UFO sightings available to the public and scientists. I am convinced that UFOs exist because I have seen one,” said former U.S. president Jimmy Carter. 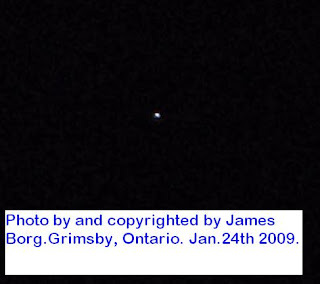 One of the most well known sightings in Vaughan occurred July 13, 2005 at about 11:30 p.m. Several people reported seeing a disc-like object with an orange glow to it. The light faded in and out and other lights moved across the object. It occurred on Highway 7 above the Ikea store. 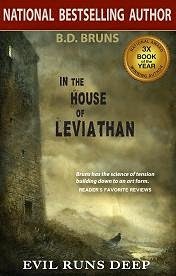 These stories, and others that come to HBCC UFO on a daily basis, fuel the fire for Vike. 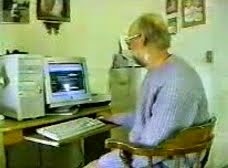 An avid UFO buff since 2000, Vike said his fascination with anything of unknown nature led him to create HBCC UFO, now a major Canadian website with a worldwide following. Vike, 57, has been a science fiction fan since childhood. 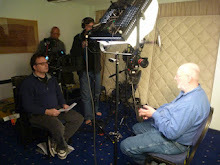 He was a consultant for the American History Channel and its UFO Hunter series and he said he’s waiting to hear back from another film company interested in putting together a UFO-related program. What about the skeptics and naysayers? 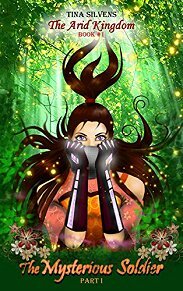 Vike said those who are adamant that we are, in fact alone in the cosmos, are not open-minded enough to at least consider the idea of earth being visited by other life forms. World-renowned astrophysicist Stephen Hawking upset the UFO community with some comments made during an April lecture at George Washington University in Washington, D.C. In a previous lecture entitled Life in the Universe, Hawking touched on the chances that humans would encounter alien life as we explore the galaxy. While he conceded many planets could have life on them, considering many were formed billions of years before our earth, he wondered why the galaxy isn’t filled with activity. Down to earth, Caledon’s clay hills, which resemble a Martian landscape, seem to draw visitors of both the earthly and extraterrestrial kinds. Believers seen undaunted by a lack of evidence or criticism in their cosmic fascination. “I know from my experiences they visit throughout the winter … I’ll keep watching,” said a Caledon resident who saw rapidly flashing lights in November of 2004. “If you can get people to stay long enough to witness it once, you pretty much have a new believer,” wrote another. 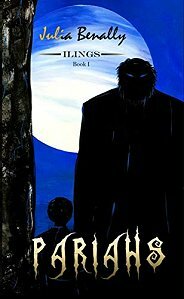 Believers and non-believers alike are welcome to visit Vike’s site at: http://www.hbccufo.org or e-mail him at hbccufo@telus.net.